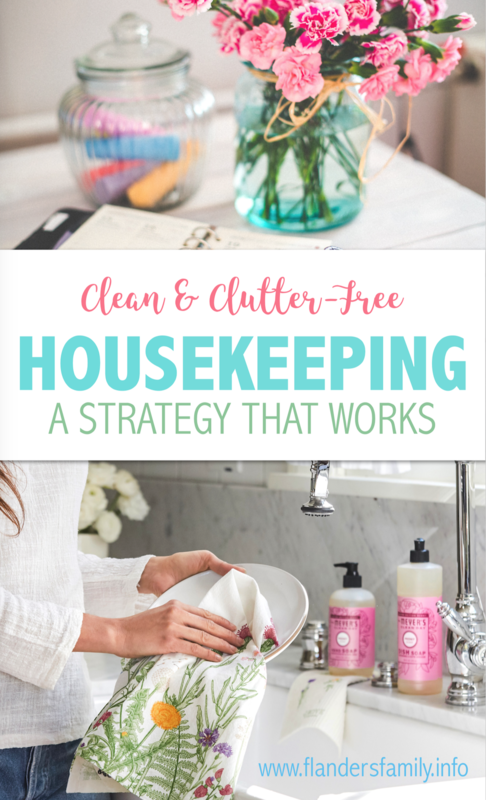 I started to call this post “7 Habits of Happy Homemakers.” I like the alliteration, but realize more goes into making home a happy place than keeping things clean and tidy. So I changed it. Still, housekeeping does play an important role. A well-kept home can definitely improve the mood of everyone in it. When our homes are tidy and well-organized, family members can relax and breathe easy. They can find what they need when they need it. Drawers contain an ample supply of clean silverware, clean underwear, or pens that actually work. They can open closet doors without fearing an avalanche. Clothes hang neatly from their hangers, labeled bins keep accessories organized, shoes stand at the ready on their designated shelf. When unexpected guests drop by, the family who lives in a clean and clutter-free home can invite them in without shame or embarrassment. I’m not saying our homes need to be sterile showrooms. My house definitely looks “lived in.” With seven children still at home and others visiting frequently, our place would rarely pass a white glove test. But by sticking to the following habits consistently, we are able to keep our home tidy and reasonably clean. If you don’t use it, like it, or need it, don’t keep it! Purge your closets of ill-fitting clothes. Clean mismatched storage lids and obsolete kitchen gadgets from your cabinets. Deposit junk mail, used tea bags, and other trash directly in the garbage bin. If something is broken, either repair it or replace it. Or, if it isn’t essential, throw it away and do without. As so many mothers have long repeated, “Have a place for everything and everything in place.” I’ll go one further than that. If you want to get your family onboard with keeping things neat, make sure the place you pick for the things they use is easy to access. Consider investing in some double-duty decor. Trunks, baskets, and ottomans make great point-of-use storage places for favorite toys, books, or blankets. If your toddler’s blocks will only fit in their box if he carefully stacks them inside following a certain arrangement, find a better box. He should be able to remove the lid and toss them all in quickly. Make it easy-peasy for him to pick up after himself. Otherwise, you’ll be the one putting his toys away every time he plays with them. Establish morning and evening routines that will keep you accountable for maintaining order. Make the beds first thing each morning. Since kids do what we inspect more than what we expect, check to be sure they’ve followed through with the task. Start a load of laundry every day before breakfast, transfer it to the dryer before lunch, fold and put it away before dinner. 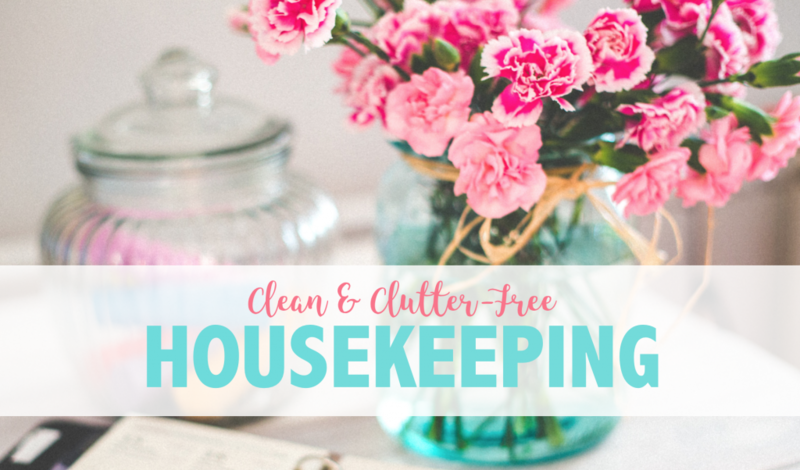 Clear all dirty dishes out of the sink and all piles of books and papers off your desk or countertop before bed every night. These are a few examples that work for our family. Yours may be entirely different. The point is, once you get in the habit of cleaning up as you go — putting things back where they belong after every use, and requiring your children to do the same — keeping things tidy will become almost second nature. When everybody is in the habit of doing a little each day, deep cleaning is not needed as desperately. Our family keeps a list of chores we do every week (sweeping, cleaning bathrooms, scouring stovetop, etc). Others we do every other week (dusting, mopping, vacuuming rugs, etc.). And still others that we do once a month or once a quarter (cleaning out the refrigerator, changing air filters, mopping the garage, cleaning baseboards, etc). I recommend compiling a list of routine chores along with the frequency with which each should be done. Then either schedule time on your own calendar to tend to those tasks or delegate them to another family member. Even very young children can be trained to help with chores. Need inspiration? Check out our Age-Appropriate Children’s Chore Chart. One thing most successful adults have in common: They were required to pitch in doing chores during their upbringing. What’s more, when kids are little, that’s often when they’re the most interested in “helping.” It takes a little time to train them, but if you capitalize on their willingness and work together, you will be building great habits and life skills that will stick with them even when they’re older. Teach kids to clean up after themselves. If they make a mess, they should shoulder at least part of the responsibility of cleaning it up. Train them to put away one toy before getting out another. Consider getting an extra potato peeler or veggie scrubber — that way your little ones can work alongside you in the kitchen without slowing you down. Do a 5-minute “room rescue” before Dad gets home from work or Grandma arrives for dinner. Put on some lively music and work as a team. God is God of order, and we reflect His character when we keep our homes tidy. Straightening up is a simple matter of everyone pitching in an putting things back where they belong. You’ll be done in a snap. 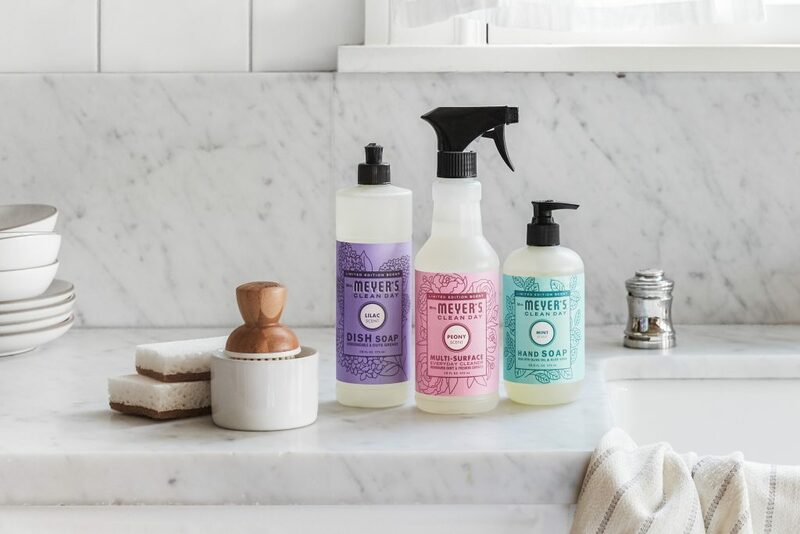 Having the proper supplies on-hand makes it easy to keep things clean and tidy. If your children are helping with chores, you may want to invest in some kid-size versions of mops, brooms, and dustpans, as well as non-toxic cleaning supplies. We keep a set of bathroom cleaning supplies above the toilet in each bathroom, as well. That allows us to spot clean anytime we notice it needs it, without having to hunt down supplies. Existing customers will receive free Grove walnut scrubber sponges — they’re sustainably made and perfect for all your spring cleaning tasks! I’ve used Grove products for years. They’re plant-based and smell amazing. If you’ve never tried Grove Collaborative before, now would be a great time to do so! We love Jesus, love each other, love our 12 children, and love the life God's given us. We started this blog as a way to share resources with others who want strong marriages, happy families, & healthy homes. Subscribe for immediate access to our library of 350+ free printable resources. If your mornings don't run as smoothly as you'd like, this course can help. Good for night owls & early birds alike! Jennifer Flanders on Mailbag Monday: Raising Squirrels? Smoki Whitney on Mailbag Monday: Raising Squirrels? This is a great program, and it's FREE! Bonus: when you sign up through this link, you get 25 points (& I get 10 -- so, thanks! ).